It has been nearly three years since I left my marriage. It was the most difficult decision I have ever made, and one with the highest cost I’ve ever had to pay. It was ‘Hobson’s Choice’ you might say – the choice you have when there is really no other choice. When my marriage ended it wasn’t from lack of trying – we’d been in counselling since 2012, after all. But when all avenues have been tried and the pain being caused to all parties is greater than the benefit of staying, well, at some point you have to call ‘time’. No-one walks away from a marriage lightly. No-one launches a grenade into their family on a whim; but still, I had no idea at the time just exactly what the price would be for that decision, though all things considered it was still the only decision that could have been made. With the decision to walk away came Death of the Dream. Two years ago I began working at the Parenting Place, which had been a long-held dream of mine, after I've been writing freelance for the magazine for years. Unbeknown to me, my new workplace had begun a journey (haerenga) into Te Ao Maori (the Maori world) and I was swept up in it along with my workmates. This is no tokenism, no surface level nod to Maoritanga, but a wholehearted journey, delving into who we are (as a nation, our history), where we've come from and what it means to be true Treaty partners. Along the way, I've had the privilege of staying on a number of Marae around the country, including Te Tii Marae at Waitangi (where our nation's founding treaty was composed and signed) and Parihaka (the site of a terrible injustice perpetrated by the British in the 1880's). The journey began for me as just simply something my work was doing, which I found interesting, but it has become something personal for me now - a personal odyssey and a challenge to discover who I am and where I belong. This year I have had the privilege of beginning to learn Te Reo Maori with my a bunch of my workmates, during work time. I was worried my middle-aged half-speed brain would not cope with the challenge of learning a language, but so far I'm doing pretty well, passing all my tests and actually learning stuff. 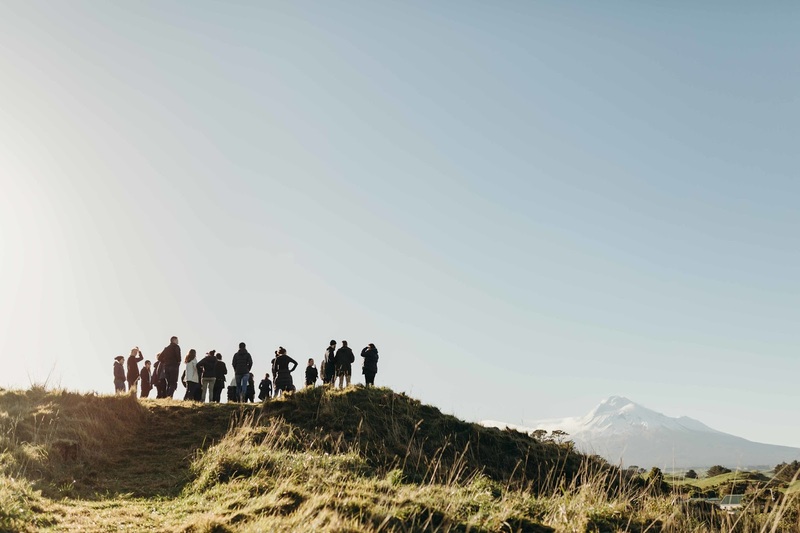 But the thing I've discovered is that learning Te Reo isn't just about learning to speak the words - it is about opening myself up to a whole new way of thinking, new ways of looking at the world and finding a deeper sense of belonging and identity in this whenua (land). 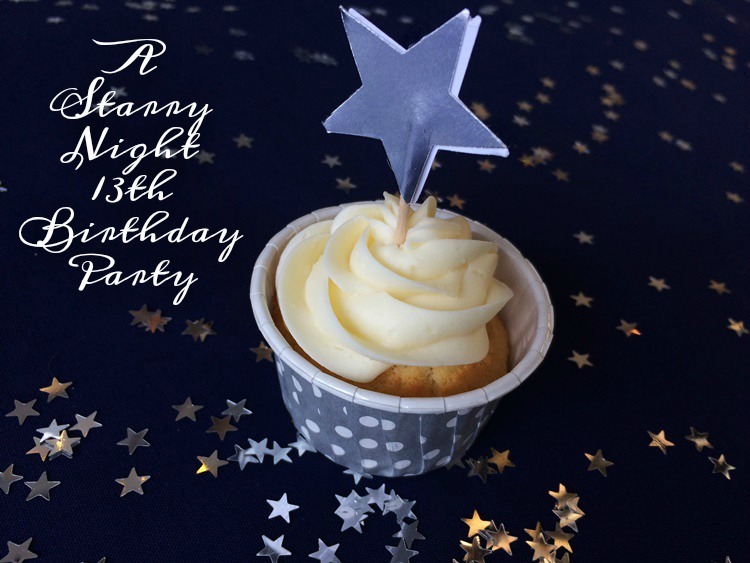 Today I completed a questionnaire sent out to all of us at work to "gauge the bi-cultural journey the Parenting Place has embarked on over the last three years..."
Ahhhhh, the Starry Night birthday party for Miss Fab's 13th - what a great night it was. It's about time I shared this party with you, aye? I mean, it's only taken three months! My fabulous girl is turning thirteen on Friday. THIRTEEN. She's nearly as tall as I am, wears the same size shoes and is, simply put, gorgeous. It's always a super-busy week pre-party but I didn't want this occasion to pass by without me marking it with some kind of a written tribute, because that's what I do. I write stuff. I like to reflect on the passing of time, and plant a few marker stones along the way. I like to look back and say, wow, look how far we've come. And we have come a really long way. 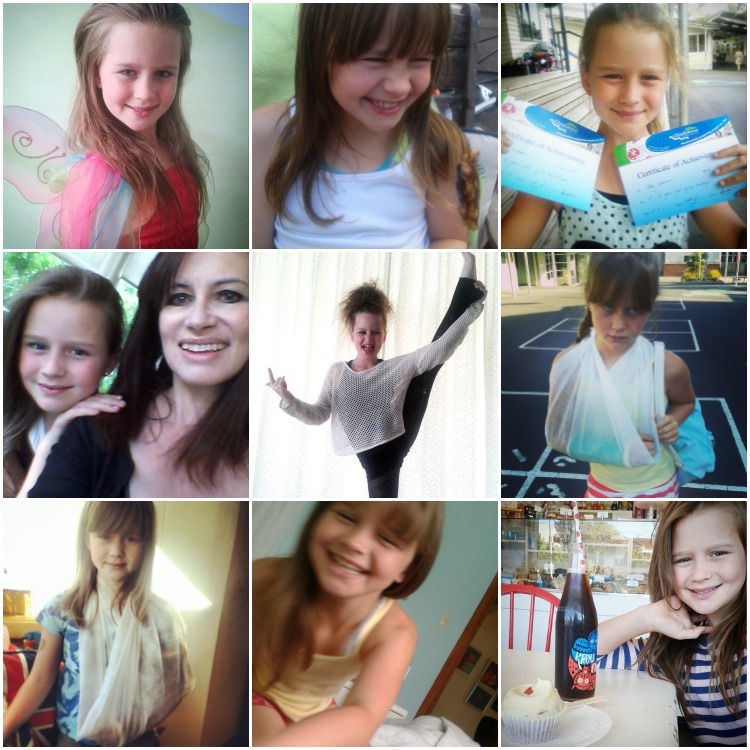 When I started writing this blog nine years ago my girl was a feisty four-year-old. I've got nine years of her life recorded here in case the details get a little fuzzy with my encroaching old age (haha). Let the record show that my daughter is Brave. She is Strong. She is Hilarious. As she gets older I see more and more clearly what an amazing person she is - look out world, here she comes. One of the bravest people I know. One of the funniest people I know. A girl with a big heart and an outsized sense of justice. Watch out if you get on the wrong side of her - bullies beware. She'll take you on whatever your size. She's been doing it for years. 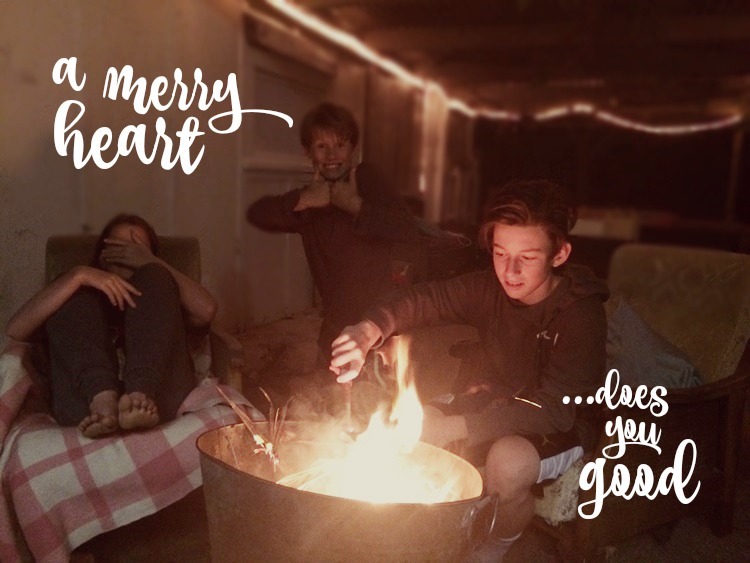 If you've been around this blog for any length of time you'll know that in our family we've always loved to celebrate for any excuse – and sometimes for no reason. We loved having friends over, spending time with special people enjoying an occasion together. Whether it was a Light Party, a Birthday Party, an Easter dinner or one of our famous "Parties for No Reason", we sure did love to host a gathering. We never spent loads of money, we never parted with cash for glitzy entertainers or fancy catering. We liked our birthday cakes a bit wobbly and homemade-looking. We got a kick out of thinking up decorations, games and food that we could adapt and make. More than anything, we really got a thrill out of creating an atmosphere for our friends to come and enjoy. Even the planning was part of the fun. As the kids got older they came up with their own great ideas for games and decorating. Celebrating each other was a way of showing appreciation and letting each family member know that they were valued and special. So what happened when we changed to a sole-parent family on a tight budget? 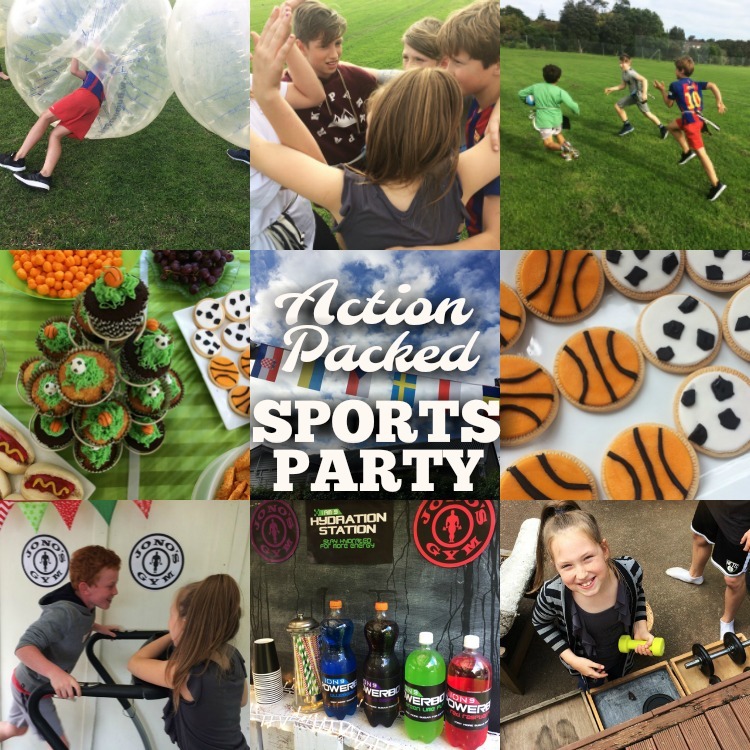 Scrag turned NINE last month - the boy who was a baby when when this blog began is now an energetic, sports-loving rugby player whose hero is Usain Bolt and who can kick goals and dunk baskets with the best of them. So of course his birthday party had to involve Sports. Action. Running. Competition. BALLS. The birthday boy helped me plan every detail, from the food to the guest list to the games - there would be very little sitting around for guests at this party! 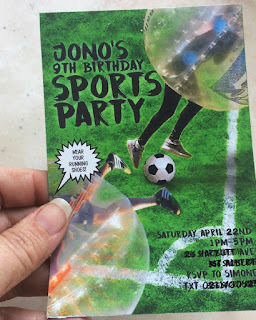 With me being not exactly the sportiest of mothers (ahem), I was a bit nervous about running the show (I don't even know the offside rule yet) - until I came across the Bumper Ball website, and asked them to help make this party epic by bringing their crazy bubble action to our gig. The birthday boy was delighted when they said yes to partnering with me for this party (and so was I ). Meanwhile, the invited guests were counting down sleeps.